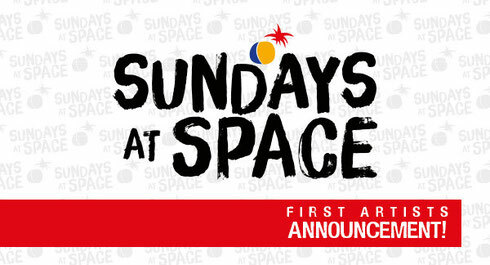 Sundays At Space recently announced their first phase of DJs for the summer season and it includes 2manydjs (DJ set), Danny Tenaglia, Darius Syrossian, Dennis Ferrer, Derrick Carter, Guti (live), Heidi, John Digweed, Nick Curly, Riva Starr and Yousef, who will all unite for the final season of Sundays at Space. Many say that no visit to Ibiza is complete until you've sampled the unique experience that Space has to offer and this summer will be your final chance to do it. Since 1999 Sundays at Space has aimed to retain the ethic of love and togetherness, keeping the true spirit of Ibiza alive whilst showcasing some of the world’s most exciting, diverse electronic music talent - through day and night. As Space marks its 27th anniversary this season it aims to continue to enforce why the venue has proudly earned its position as one of the world’s most celebrated and loved clubbing destinations. This year you will also find possibly one of Ibiza’s most prominent club nights from 2015, Do Not Sleep, hosting their weekly residency throughout the season. Look out for the introduction of a special ‘Weekend Pass’ being made available for those that want to push on through Saturday and Sunday. The new pass consists of entrance to ‘elrow’ on Saturday and the following ‘Sundays At Space’, giving the holder access to both parties and re-entrance during the Space Sunday event during the day. DJs confirmed for phase 1 reveal – Summer 2016. 2manydjs (DJ set), After Dark presented by Mr Doris, Alan Fitzpatrick, Andy Baxter, Anja Schneider, Cajmere, Carlo Lio, Chus and Ceballos, Claptone, Danny Tenaglia, Darius Syrossian, Dave Seaman presents Selador , Deetron, Dennis Ferrer, Derrick Carter, DJ Callum, Doorly and Friends, Float Your Boat, Freemasons, Green Velvet, Guti (live), Hector Couto, Heidi, Jason Bye, Jesse Rose, John Digweed, Jonas Rathsman, Junior Sanchez, Kenny Glasgow, Kolsch (DJ set), Mo’funk, Nathan Barato, Nick Curly, Paul Reynolds, Riva Starr, Sarah Main, Smoking Jo, Technasia, Tensnake, Tiga, Troupe, Yousef.